The upper Roaring Fork River, from which more water may be diverted to the Front Range. A new report paid for by the Ruedi Water and Power Authority concludes that water interests in Aurora, Pueblo and Colorado Springs are well-positioned to divert more water from the Roaring Fork River and Fryingpan River and that they preparing to do so in order to meet the demands of a growing population and the increasing prospect of additional droughts. The report was prepared by G. Moss Driscoll of Elk Mountain Consulting in Carbondale. (Here’s a YouTube video on local diversions from the Colorado River District). There was period after WWII when a number of significant transmountain diversion projects were built under Colorado’s Continental Divide, including ones that now take up to 40 percent of the water off the top of the Fryingpan River and Roaring Fork River headwaters. The diverted water in Pitkin County now flows through tunnels under the divide and ends up in either the Arkansas River or South Platte River basins, en route to the Mississippi River and the Gulf of Mexico. For the past four decades, enlarging existing water diversions or creating new ones was seen by Front Range water providers as too expensive, and too difficult in the face of active environmental opposition, the report noted. But the dry years of the last decade prompted East Slope water managers to call for more storage on that side of the hill. With more storage options firmed up, the managers have then looked for the ability to divert more water from the West Slope to fill the storage reservoirs. “… the ability to divert and store such surplus flows is now widely seen by Front Range water providers as the key to both developing new supplies for future population growth and protecting against water shortages during the inevitable times of severe drought,” the report says. The Roaring Fork River through the Northstar area in the fall. And the water from the Fork and the Pan looks increasingly attractive. “For many Front Range water providers, firming up existing transmountain water rights and maximizing the diversion capacity of existing transmountain water rights and maximizing the diversion capacity of existing infrastructure is likely to represent one of the most cost-effective, publicly acceptable means of developing additional water supplies,” the report states. There are three major transmountain diversions currently operating in the Roaring Fork Watershed. They are the Fryingpan-Arkansas Project, called “Fry-Ark.” There is the the Busk-Ivanhoe System, and the Independence Pass Transmountain Diversion System, or the “Twin Lakes” system. “Although these diversions have been in operation for decades, each of the projects are still incomplete, with undeveloped conditional water rights, excess diversion capacity, and even major structural components that could yet be built,” the report states. The Fry-Ark project diverts 54,800 acre-feet of water on average each year from the headwaters of the Fryingpan River through the Boustead Tunnel to Turquoise Reservoir, Twin Lakes Reservoir and Pueblo Reservoir. The Boustead tunnel has a cacpity of 1,000 cubic feet per second. The Fry-Ark is owned by the federal Bureau of Reclamation and the Southeastern Colorado Water Conservancy District, which provides water to Pueblo and Colorado Springs. The Busk-Ivanhoe System is primarily owned by Pueblo and Aurora and other minor shareholders and diverts 5,209 acre-feet from the headwaters of the Fryingpan River. Its key structures include the Ivanhoe Reservoir, the Ivanhoe Tunnel, the Pan Creek Ditch, the Hidden Lake Creek Ditch and the Lyle Lake Creek Ditch. The Independence Pass Transmountain Diversion System is primarily owned by Colorado Springs, Pueblo, Pueblo West, and Aurora and has diverted 40,589 acre-feet a year on average from the headwaters of the Roaring Fork River. Its key structures include Grizzly Reservoir and two tunnels that divert water under the mountain to the south fork of Lake Creek, which roars in the spring toward the Twin Lakes reservoir. The Twin Lakes system has been especially thirsty in the last decade. “After two subpar decades of diversions (1980-1999) from 2000 to 2009, the Twin Lakes System diverted an average of 47,166 acre-feet of water each year, the greatest decade of diversions on record, despite severe drought conditions at the beginning of the decade,” the report states. In 2008, the Twin Lakes system diverted 64,535 acre-feet of water out of the Fork’s headwaters. As East Slope water interests continue to take steps to firm up both their legal right and physical ability to divert more water in the future, local interests on the Western Slope will likely need to work “together as a collective force to negotiate with powerful Front Range water interests,” said the report. The report also recommends that the Ruedi Water and Power Authority should “encourage, support, and facilitate the lawful appropriation of local water resources for beneficial use, such as, for example, recreational in-channel diversions” such as are being used in the state to provide a steady flow of water to kayak parks. “Recreational water use provides an especially good example of a way in which RWAPA may want to consider supporting local water development,” the report states. “The recent convergence of events in this area appeals for better local coordination. In particular, with the uncertainty surrounding the Shoshone Power Plant on the Colorado River in Glenwood Canyon, local interests should consider securing one or more recreational in-channel diversion (RICD) water rights on the middle or lower Roaring Fork River. “With the City of Aspen’s existing recreational rights on the upper Roaring Fork, and previous proposals for similar rights in both Basalt and Carbondale, the situation seems to suggest that a coordinated effort could be far more effective (and economical) in ensuring adequate recreational flows throughout the watershed, including at Glenwood Springs’ new whitewater park on the Colorado River,” the report also states. The report also recommends using water in Ruedi Reservoir to meet the obligation of the state to provide a certain amount of water to downstream users of Colorado River water. And the report recommends taking another look at the “Basalt Project,” a plan to pipe water from Ruedi down the lower Fryingpan River valley. The report suggests the Basalt Project could have several benefits. “Such a retrofitted project could focus solely on the construction of a conduit, in the 25 to 35 c.f.s. range, from the outflow on Ruedi Dam down the Fryingpan River, before cutting across the southwest flank of Basalt Mountain, to a power station located somewhere between Basalt and Emma. 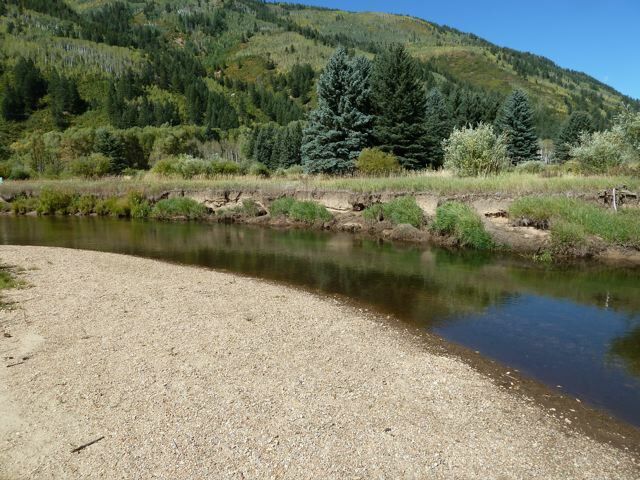 Water conveyed via the conduit could be used to support local power generation, as well as other water uses, such as recreational in-channel diversion rights on the middle and lower Roaring Fork River,” the report states. “With the water available for conveyance in Ruedi Reservoir, the project’s hydropower plant could have a near continual supply of potential energy. The bypassed water could also help ensure optimal flows for fishing in the downstream Gold Medal section of water. The legal, engineering, economic and environmental barriers to such a project would be considerable, but so would the potential benefits. 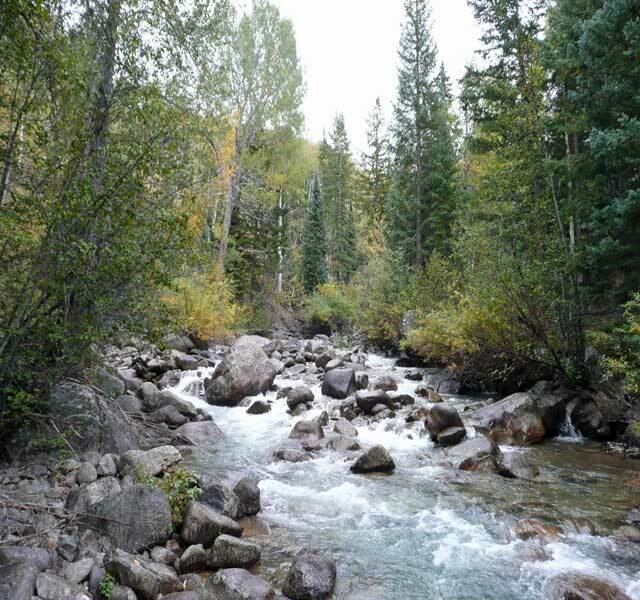 In addition to supporting the local fishing, tourism, and recreational boating industry, such a project could effectively discourage additional transmountain diversions from the Roaring Fork Watershed,” the report said.